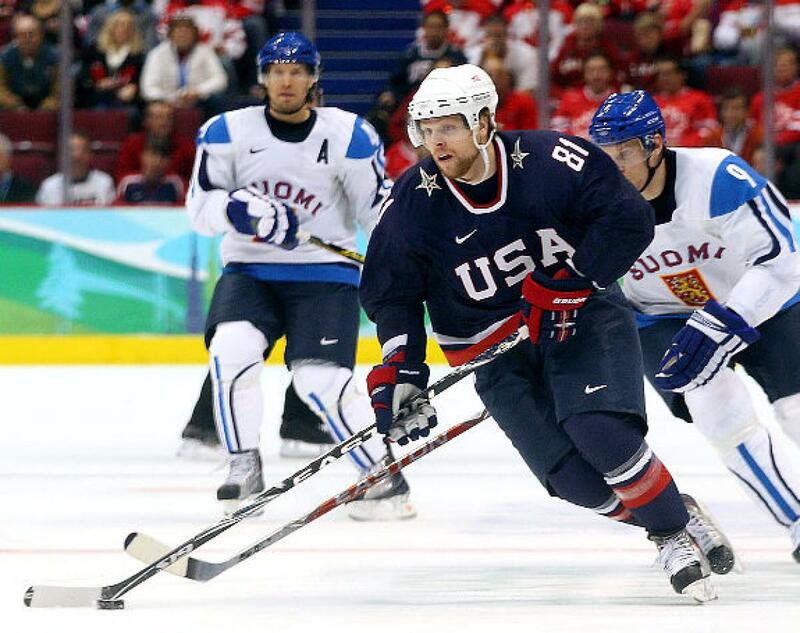 Phil Kessel, Stanley Cup Champion, was left off of the Team USA roster for the World Cup of Hockey because... well... ???? Phil, one of the leading scorers for Team USA in the 2010 and 2014 Winter Olympics, was mysteriously left off of the Team USA roster at the World Cup. Even before his hand injury was revealed it was shown that he wasn't considered for a role on the team. 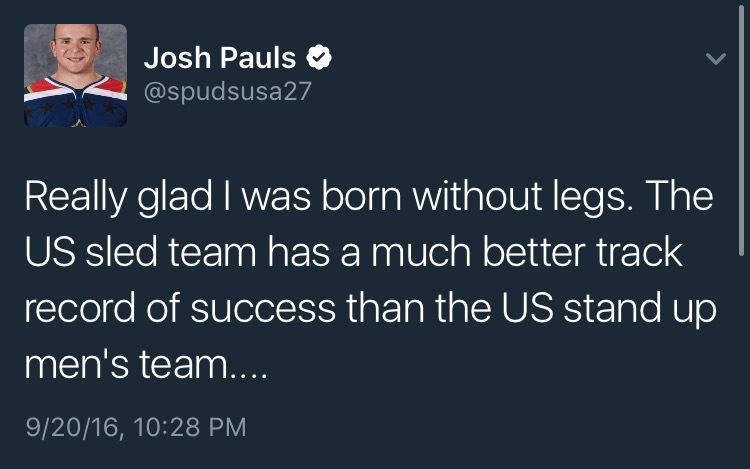 It was puzzling and Team USA probably could have used him. 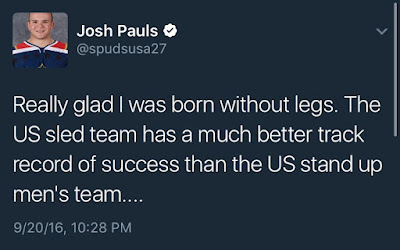 After Team USA's embarrassing defeat at the hands of Canada, marking yet another in the World Cup, Phil took to Twitter and shared a thought. Enjoy your time with your good dog, Phil. You've won. Pauls won Gold in the 2010 and 2014 Paralympic games in Vancouver and Sochi respectively. Maybe USA Hockey should start listening to these two voices instead.